The Code Corsair – Ahoy world! 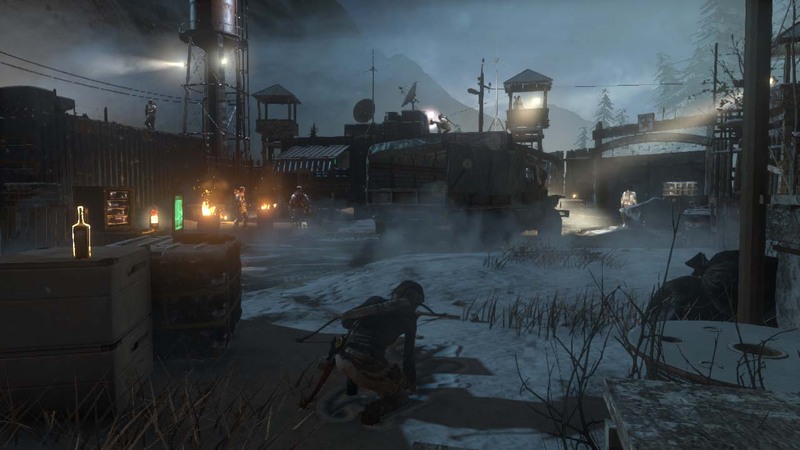 Rise of the Tomb Raider (2015) is the sequel to the excellent Tomb Raider (2013) reboot. I personally find both refreshing as they move away from the stagnating original series and retell the Croft story. The game is story focused and, like its prequel, offers enjoyable crafting, hunting and climbing/exploring mechanics. 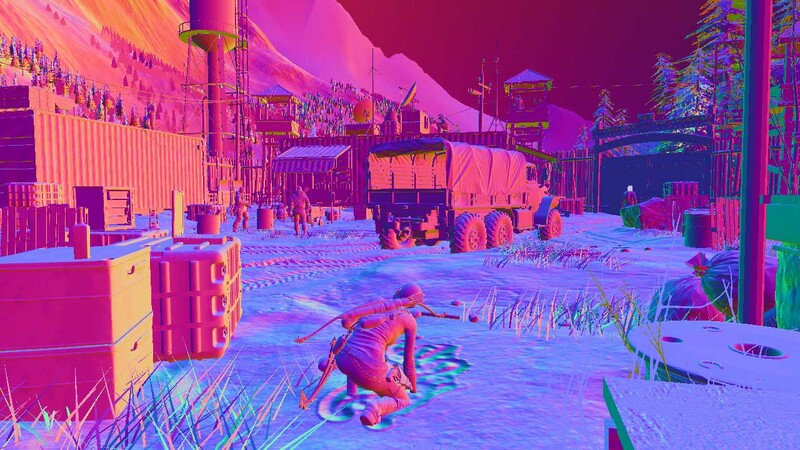 Tomb Raider used the Crystal Engine, developed by Crystal Dynamics also used in Deus Ex: Human Revolution. For the sequel a new engine called Foundation was used, previously developed for Lara Croft and the Temple of Osiris (2014). Its rendering can be broadly classified as a tiled light-prepass engine, and we’ll see what that means as we dive in. The engine offers the choice between a DX11 and DX12 renderer; I chose the latter for reasons we’ll see later. I used Renderdoc 1.2 to capture the frame, on a Geforce 980 Ti, and turned on all the bells and whistles. I can safely say without spoilers that in this frame bad guys chase Lara because she’s looking for an artifact they’re looking for too, a conflict of interest that absolutely must be resolved using weapons. Lara is inside the enemy base at nighttime. I chose a frame with atmospheric and contrasty lighting where the engine can show off. A customary optimization in many games, a small depth prepass takes place here (~100 draw calls). The game renders the biggest objects (rather the ones that take up the most screen space), to take advantage of the Early-Z capability of GPUs. A concise article by Intel explains further. In short, the GPU can avoid running a pixel shader if it can determine it’s occluded behind a previous pixel. It’s a relatively cheap pass that will pre-populate the Z-buffer with depth. An interesting thing I found is a level of detail (LOD) technique called ‘fizzle’ or ‘checkerboard’. It’s a common way to fade objects in and out at a distance, either to later replace it with a lower quality mesh or to completely make it disappear. Take a look at this truck. It seems to be rendering twice, but in reality it’s rendering a high LOD and a low LOD at the same position, each rendering to the pixels the other is not rendering to. The first LOD is 182226 vertices, whereas the second LOD is 47250. They’re visually indistinguishable at a distance, and yet one is 3 times cheaper. 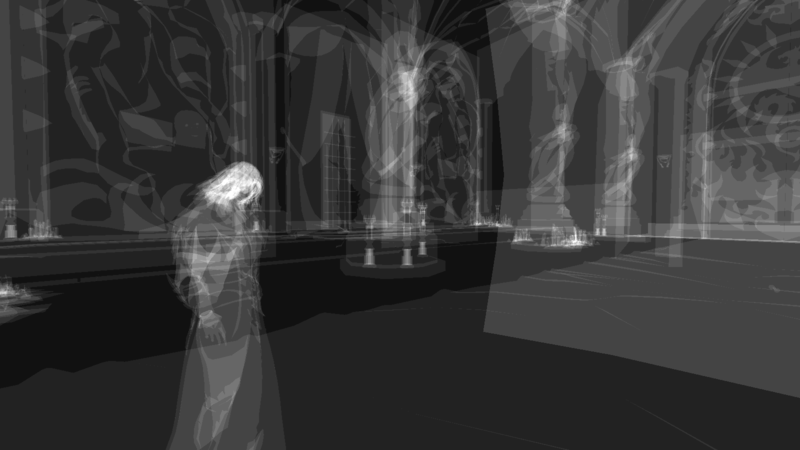 In this frame, LOD 0 has almost disappeared while LOD 1 is almost fully rendered. Once LOD 0 completely disappears, only LOD 1 will render. 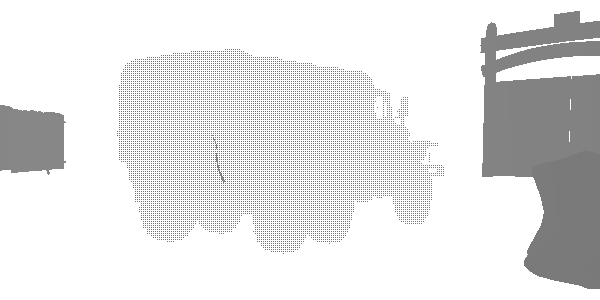 A pseudorandom texture and a probability factor allow us to discard pixels that don’t pass a threshold. You can see this texture used in ROTR. You might be asking yourself why not use alpha blending. There are many disadvantages to alpha blending over fizzle fading. Depth prepass-friendly: By rendering it like an opaque object and puncturing holes, we can still render into the prepass and take advantage of early-z. Alpha blended objects don’t render into the depth buffer this early due to sorting issues. 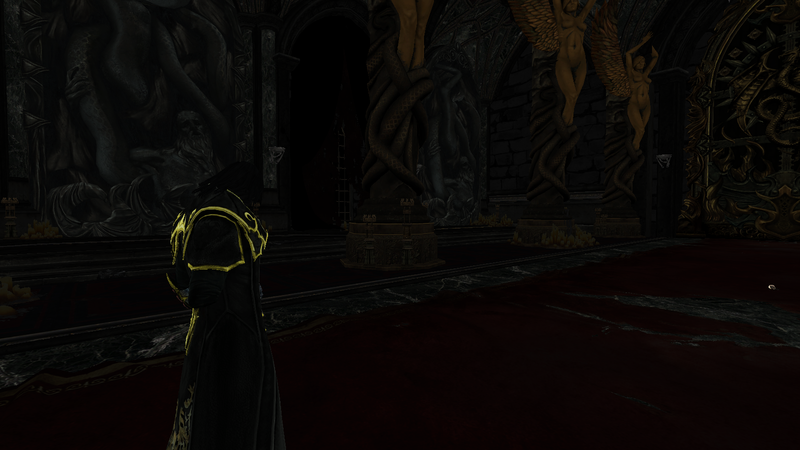 Needs extra shader(s): If you have a deferred renderer, your opaque shader doesn’t do any lighting. 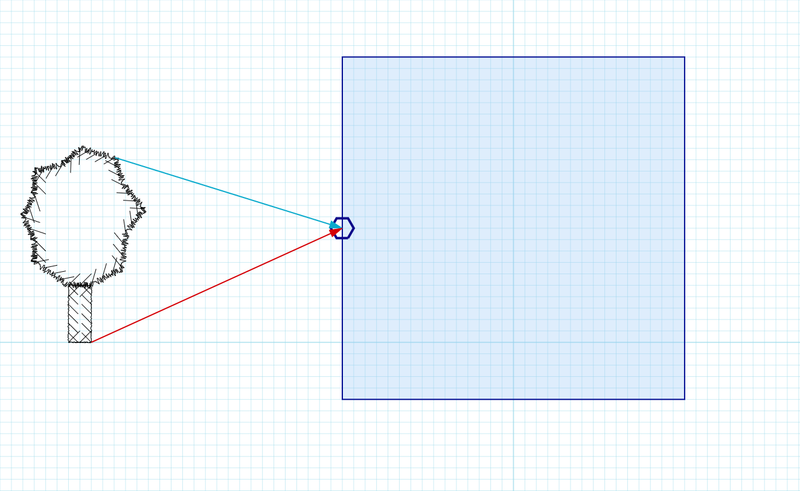 You need a separate variant that does if you’re going to swap an opaque object for a transparent one. Aside from the memory/complexity cost of having at least an extra shader for all opaque objects, they need to be accurate to avoid popping. There are many reasons why this is hard, but it boils down to the fact they’re now rendering through a different code path. 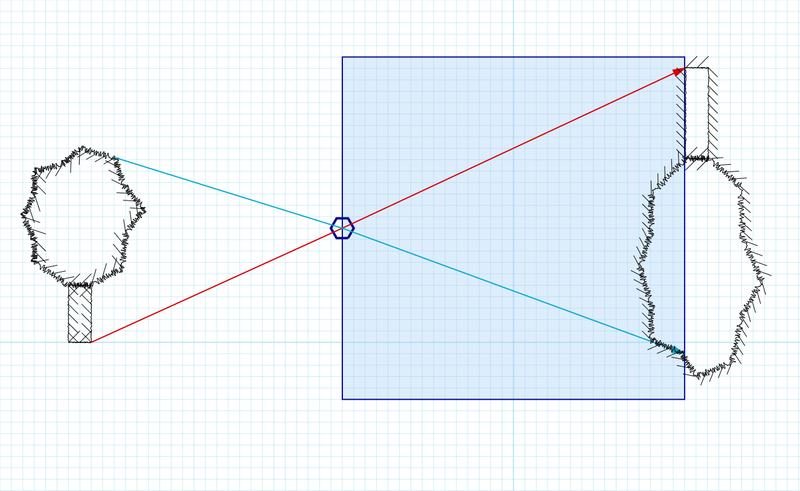 More overdraw: Alpha blending can produce more overdraw and depending on the complexity of your objects you might find yourself paying a large bandwidth cost for LOD fading.  Z-fighting: z-fighting is the flickering effect when two polygons render to a very similar depth such that floating point imprecision causes them to “take turns” to render. If we render two consecutive LODs by fading one out and the next one in, they might z-fight since they’re so close together. There are ways around it like biasing one over the other but it gets tricky. 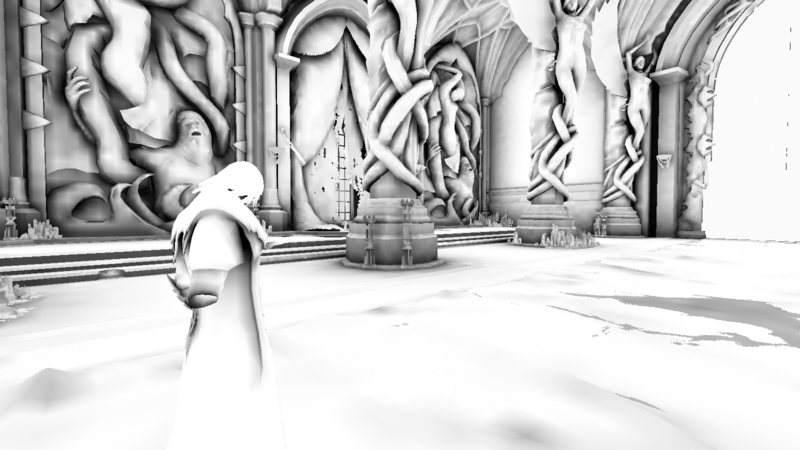 Z-buffer effects: Many effects like SSAO rely on the depth buffer. If we render transparent objects at the end of the pipeline when ambient occlusion has run already, we won’t be able to factor them in. One disadvantage of this technique is that it can look worse than alpha fading, but a good noise pattern, post-fizzle blurring or temporal AA can hide it to a large extent. ROTR doesn’t do anything fancy in this respect. Crystal Dynamics uses a relatively unusual lighting scheme for its games that we’ll describe in the lighting pass. For now suffice it to say that there is no G-Buffer pass, at least not in the sense that other games have us accustomed to. 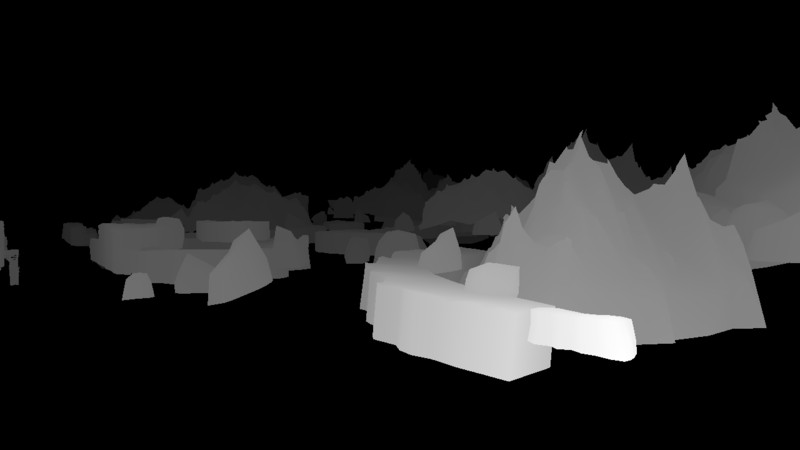 Instead, the objects in this pass only output depth and normals information. Normals are written to an RGBA16_SNORM render target in world space. As a curiosity, this engine uses Z-up as opposed to Y-up which is what I see more often in other engines/modelling packages. The alpha channel contains glossiness, which will be decompressed later as exp2(glossiness * 12 + 1.0). The glossiness value can actually be negative, as the sign is used as a flag to indicate whether a surface is metallic or not. You can almost spot it yourself, as the darker colors in the alpha channel are all metallic objects. 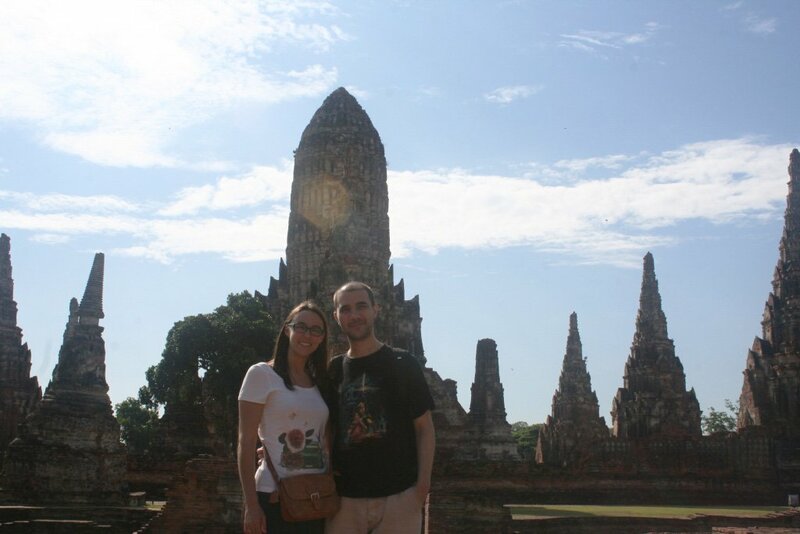 When I got married last year, me and my wife went on our honeymoon to Thailand. Their king Bhumibol had died just a month ago and the whole country was mourning, so everywhere we found memorials and good wishes for their king, and people would dress in black and white as a sign of sorrow. The Thai are a gentle and polite people, who like to help out; we’d ask for directions and people with no notions of English would spend twenty minutes trying to understand and answer our questions. Thailand has a rich history of rising and falling kingdoms, great kings and battles, and unification and invasions by foreign kingdoms. There are some amazing ruins of these kingdoms. Thailand also lives by a variant of Buddhism reflected in all of their beautiful temples. Some of the architectural features I found most interesting are the small reflective tiles that cover the outer walls, animal motives like the Garuda, (bird creatures that can be seen on the rooftops) and snake-like creatures called Naga It is in this unexpected context that I found a real-life pinhole camera. I always wear my graphics hat so I decided to capture it and later make a post. First, a little background. 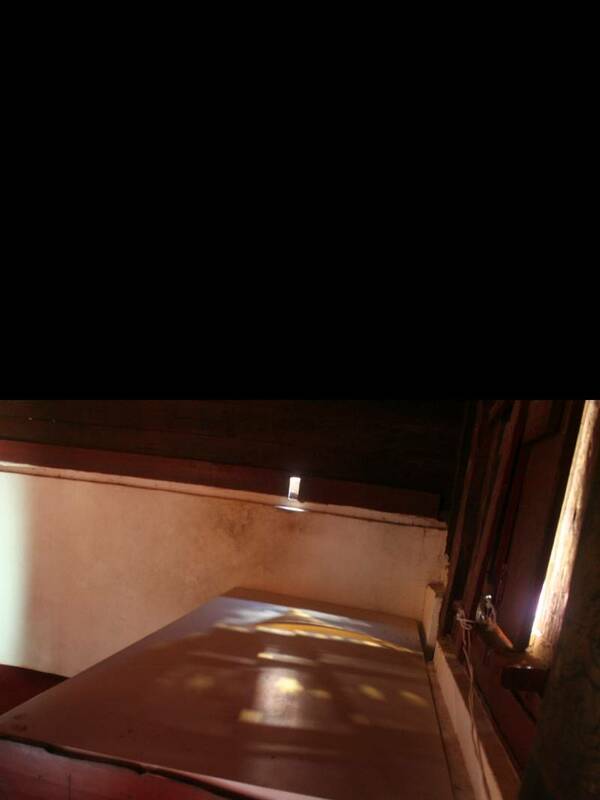 A pinhole camera (also known as camera obscura after its latin name) is essentially the simplest camera you can come up with. 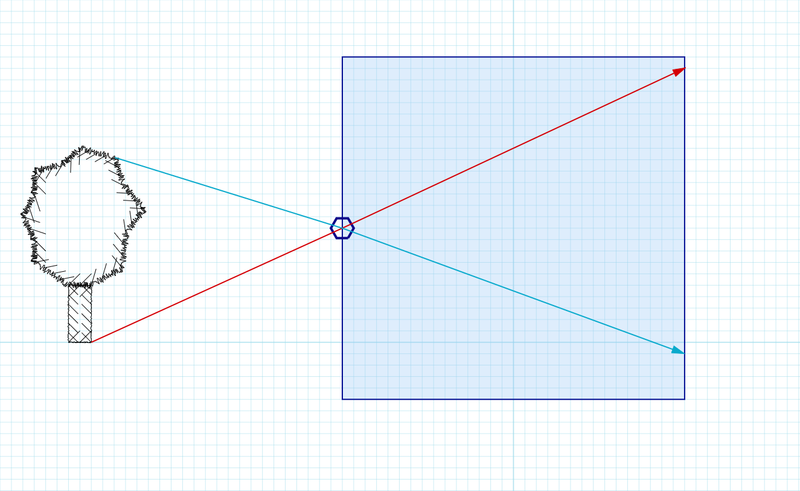 If you conceptually imagine a closed box that has a single, minuscule hole in one of its faces, such that a single ray from each direction can come inside, you’d have a mirrored image at the inner face of the other side of the box to where the pinhole is. An image is worth more than a thousand explanations, so here’s what I’m talking about. As you can see, the concept is simple. If you were inside the room, you’d see an inverted image of the outside. The hole is so small the room would be fairly dark so even the faint light now bouncing back towards you would still be visible. I made the pinhole a hexagon, as I wanted to suggest the fact that it is effectively the shutter of a modern camera. Louis Daguerre, one of the fathers of photography, used this model in his famous daguerreotype circa 1835, but Leonardo da Vinci had already described this phenomenon as an oculus artificialis (artificial eye) in one of his works in as early as 1502. There are plenty additional resources if you’re interested and even a pretty cool tutorial on how to create your own. Now that we understand what this camera is, let’s look at the real image I encountered. 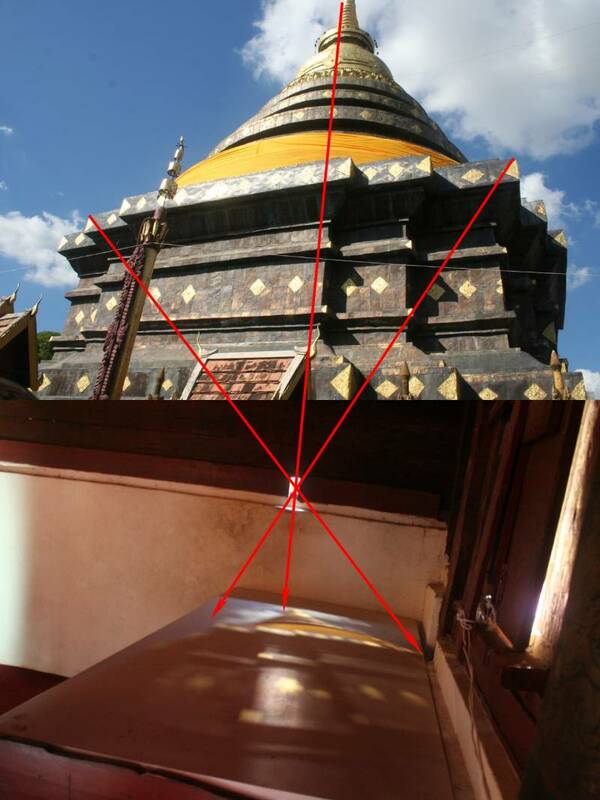 I’ve aligned the inside and outside images I took and cast rays so you can see what I mean. The image of the inside looks bright but I had to take it with 1 second of exposure and it still looks relatively dark. On top of that the day outside was very sunny which helped a lot in getting a clear “photograph”. Middle Earth: Shadow of Mordor was released in 2014. The game itself was a great surprise, and the fact that it was a spin-off within the storyline of the Lord of the Rings universe was quite unusual and it’s something I enjoyed. The game was a great success, and at the time of writing, Monolith has already released the sequel, Shadow of War. The game’s graphics are beautiful, especially considering it was a cross-generation game and was also released on Xbox 360 and PS3. The PC version is quite polished and features a few extra graphical options and hi-resolution texture packs that make it shine. The game uses a relatively modern deferred DX11 renderer. I used Renderdoc to delve into the game’s rendering techniques. I used the highest possible graphical settings (ultra) and enabled all the bells and whistles like order-independent transparency, tessellation, screen-space occlusion and the different motion blurs. This is the frame we’ll be analyzing. We’re at the top of a wooden scaffolding in the Udun region. 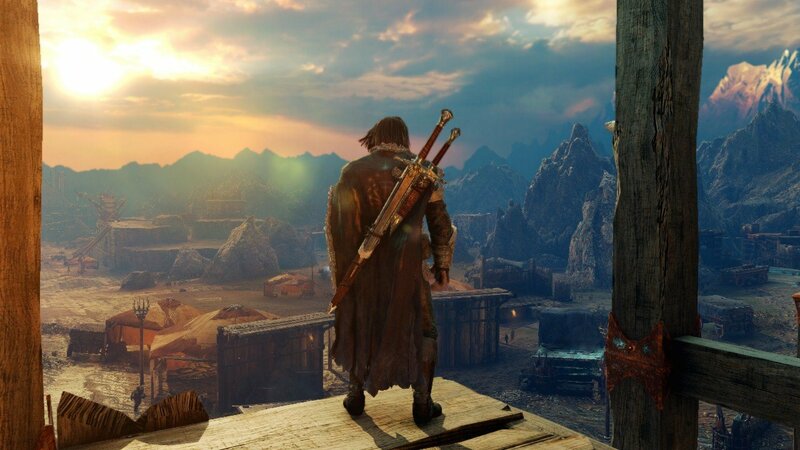 Shadow of Mordor has similar mechanics to games like Assassin’s Creed where you can climb buildings and towers and enjoy some beautiful digital scenery from them. The first ~140 draw calls perform a quick prepass to render the biggest elements of the terrain and buildings into the depth buffer. Most things don’t end up appearing in this prepass, but it helps when you’ve got a very big number of draw calls and a far range of view. Interestingly the character, who is always in front and takes a decent amount of screen space, does not go into the prepass. As is common for many open world games, the game employs reverse z, a technique that maps the near plane to 1.0 and far plane to 0.0 for increased precision at great distances and to prevent z-fighting. You can read more about z-buffer precision here. The normals buffer stores the normals in world space, in 8-bit per channel format. This is a little bit tight, sometimes not enough to accurately represent smoothly varying flat surfaces, as can be seen in some puddles throughout the game if paying close attention. The alpha channel is used as an ID that marks different types of objects. Some that I’ve found correspond to a character (255), an animated plant or flag (128), and the sky is marked with ID 1, as it’s later used to filter it out during the bloom phase (it gets its own radial bloom). 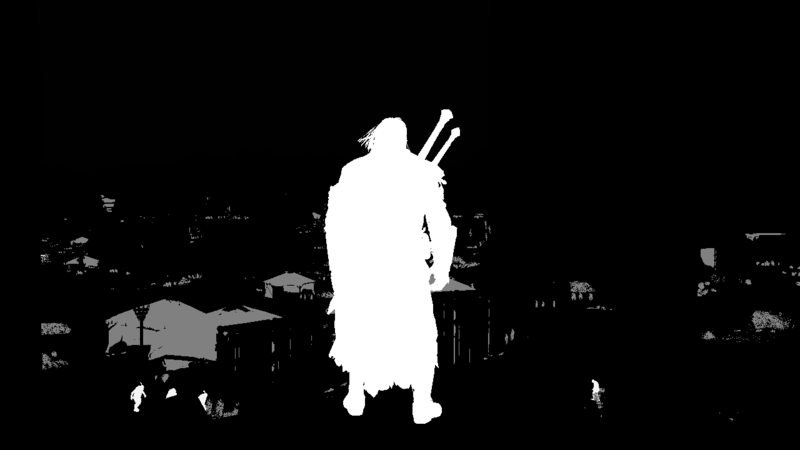 For the past couple of weeks, I have been trying to replicate the Photoshop blend modes in Unity. It is no easy task; despite the advances of modern graphics hardware, the blend unit still resists being programmable and will probably remain fixed for some time. Some OpenGL ES extensions implement this functionality, but most hardware and APIs don’t. So what options do we have? A common approach is to copy the entire backbuffer before doing the blending. This is what Unity does. 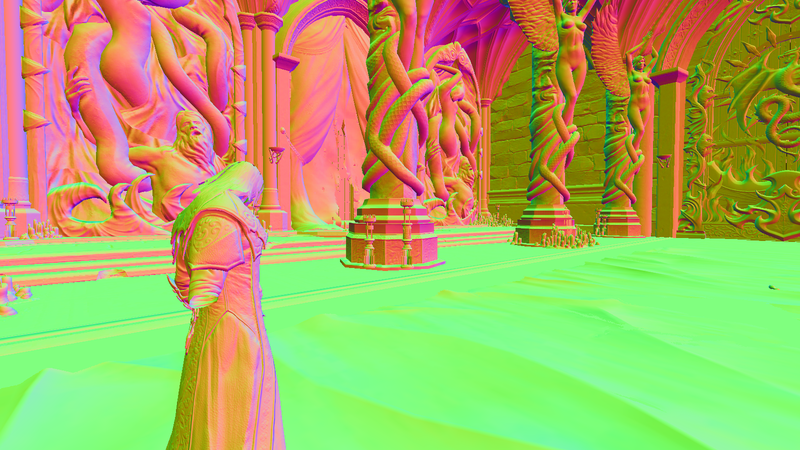 After that it’s trivial to implement any blending you want in shader code. The obvious problem with this approach is that you need to do a full backbuffer copy before you do the blending operation. There are certainly some possible optimizations like only copying what you need to a smaller texture of some sort, but it gets complicated once you have many objects using blend modes. You can also do just a single backbuffer copy and re-use it, but then you can’t stack different blended objects on top of each other. 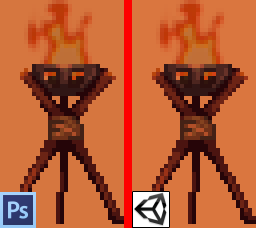 In Unity, this is done via a GrabPass. It is the approach used by the Blend Modes plugin. Modern GPUs have a little unit at the end of the graphics pipeline called the Output Merger. It’s the hardware responsible for getting the output of a pixel shader and blending it with the backbuffer. It’s not programmable, as to do so has quite a lot of complications (you can read about it here) so current GPUs don’t have one. The blend mode formulas were obtained here and here. Use it as reference to compare it with what I provide. There are many other sources. One thing I’ve noticed is that provided formulas often neglect to mention that Photoshop actually uses modified formulas and clamps quantities in a different manner, especially when dealing with alpha. Gimp does the same. This is my experience recreating the Photoshop blend modes exclusively using a combination of blend unit and shaders. The first few blend modes are simple, but as we progress we’ll have to resort to more and more tricks to get what we want. Two caveats before we start. First off, Photoshop blend modes do their blending in sRGB space, which means if you do them in linear space they will look wrong. 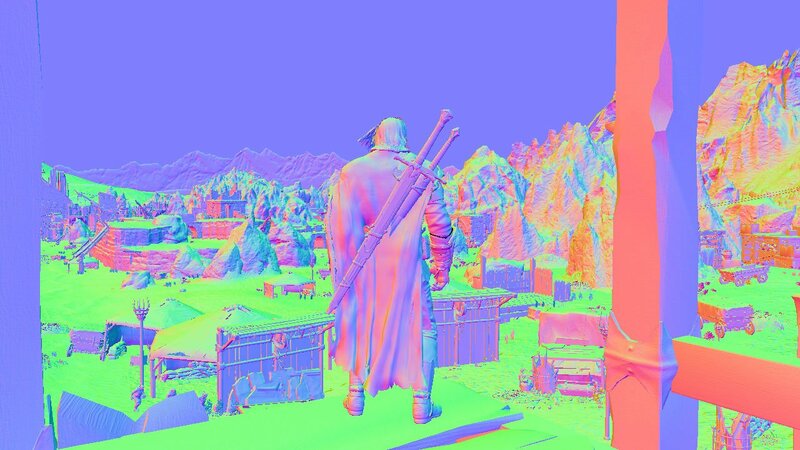 Generally this isn’t a problem, but due to the amount of trickery we’ll be doing for these blend modes, many of the values need to go beyond the 0 – 1 range, which means we need an HDR buffer to do the calculations. Unity can do this by setting the camera to be HDR in the camera settings, and also setting Gamma for the color space in the Player Settings. This is clearly undesirable if you do your lighting calculations in linear space. 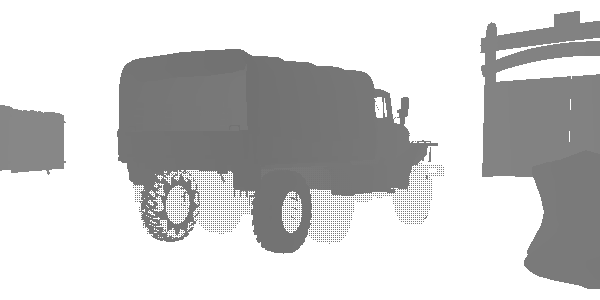 In a custom engine you would probably be able to set this up in a different manner (to allow for linear lighting). If you want to try the code out while you read ahead, download it here. 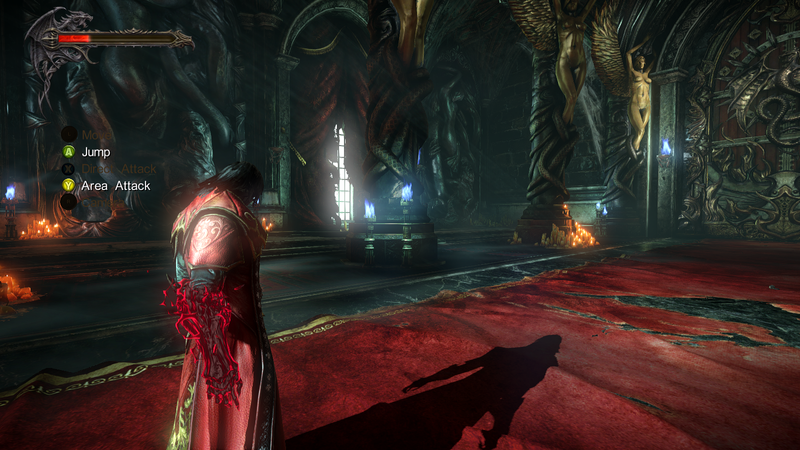 Castlevania Lords of Shadow 2 was released in 2014, a sequel that builds on top of Lords of Shadow, its first installment, which uses a similar engine. I hold these games dear and, being Spanish myself, I’m very proud of the work MercurySteam, a team from Madrid, did on all three modern reinterpretations of the Castlevania series (Lords of Shadow, Mirror of Fate and Lords of Shadow 2). Out of curiosity and pure fandom for the game I decided to peek into the Mercury Engine. Despite the first Lords of Shadow being, without shadow of a doubt (no pun intended), the best and most enjoyable of the new Castlevanias, out of justice for their hard work I decided to analyze a frame from their latest and most polished version of the engine. Despite being a recent game, it uses DX9 as graphics backend. Many popular tools like RenderDoc or the newest tools by Nvidia and AMD don’t support DX9, so I used Intel Graphics Analyzer to capture and analyze all the images and code from this post. While having a bit of graphics parlance, I’ve tried to include as many images as possible, with occasional code and in-depth explanations. This is the frame we’re going to be looking at. It’s the beginning scene of Lords of Shadow 2, Dracula has just awakened, enemies are knocking at his door and he is not in the best mood. LoS2 appears to do what is called a depth pre-pass. What it means is you send the geometry once through the pipeline with very simple shaders, and pre-emptively populate the depth buffer. This is useful for the next pass (Gbuffer), as it attempts to avoid overdraw, so pixels with a depth value higher than the one already in the buffer (essentially, pixels that are behind) get discarded before they run the pixel shader, therefore minimizing pixel shader runs at the cost of extra geometry processing. Alpha tested geometry, like hair and a rug with holes, are also included in the pre-pass. LoS2 uses both the standard depth buffer and a depth-as-color buffer to be able to sample the depth buffer as a texture in a later stage. 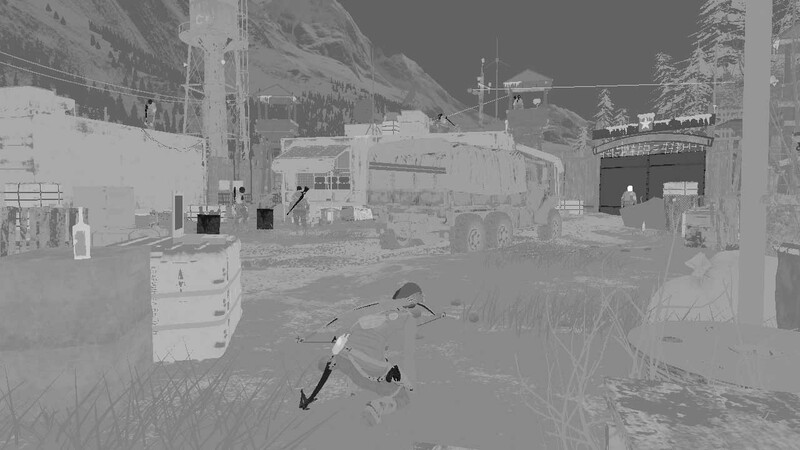 The game also takes the opportunity to fill in the stencil buffer, an auxiliary buffer that is part of the depth buffer, and generally contains masks for pixel selection. I haven’t thoroughly investigated why precisely all these elements are marked, but for instance was presents higher subsurface scattering and hair and skin have its own shading, independent of the main lighting pass, which stencil allows to ignore. 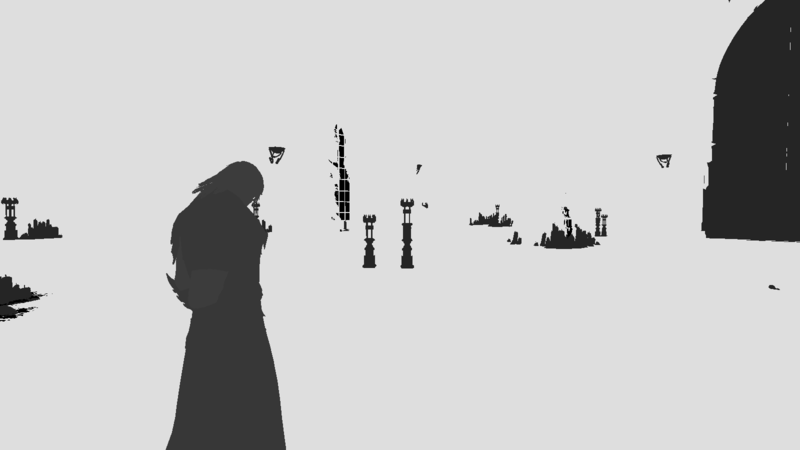 The first image below shows what the overdraw is like for this scene. A depth pre-pass helps if you have a lot of overdraw. The second image is the stencil buffer. LoS2 uses a deferred pipeline, fully populating 4 G-Buffers. 4 buffers is quite big for a game that was released on Xbox360 and PS3, other games get away with 3 by using several optimizations. The normal buffer is populated with the three components of the world space normal and a subsurface scattering term for hair and wax (interestingly not skin). Opaque objects only transform their normal from tangent space to world space, but hair uses some form of normal shifting to give it anisotropic properties. 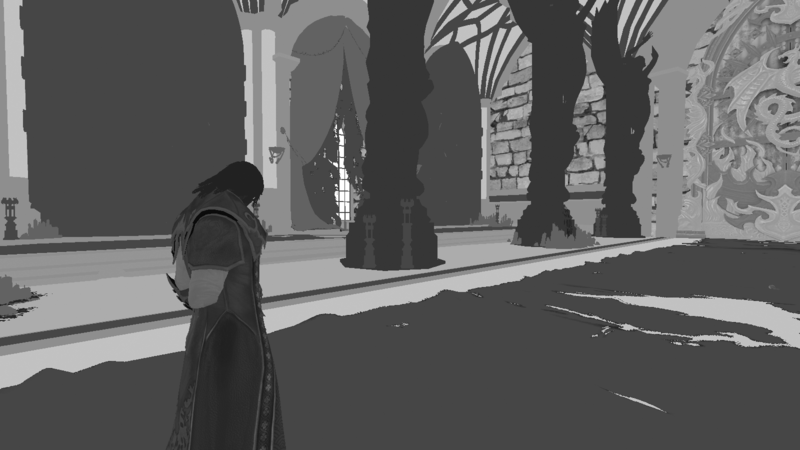 The albedo buffer stores all three albedo components plus an ambient occlusion term that is stored per vertex in the alpha channel of the vertex color and is modulated by an AO constant (which I presume depends on the general lighting of the scene). The specular buffer stores the specular color multiplied by a fresnel term that depends on the view and normal vectors. Although LoS2 does not use physically-based rendering, it includes a Fresnel term probably inspired in part by the Schlick approximation to try and brighten things up at glancing angles. It is not strictly correct, as it is done independently of the real-time lights. The Fresnel factor is also stored in the w component. Unity is an incredible tool for making quality games at a blazing fast pace. However, like all closed systems there are some limitations to how you can extend the engine and one such limitation is developing a good replay system for a game. I will talk about two possible approaches and how to solve other issues along the way. The system was devised for a Match 3 prototype, but can be applied to any project. There are commercial solutions available, but this post is intended for coders. If the game has been designed with a deterministic outcome in mind, the most essential parts of recording are input events, delta times (optional) and random seeds. What this means is the only input available to the game will be the players’ actions, the rest should be simulated properly to arrive at the same outcome. Since storing random seeds and loading as appropriate is more or less straightforward, we will focus on the input. 1) The first issue is how to capture and replay input in the least disturbing way possible. 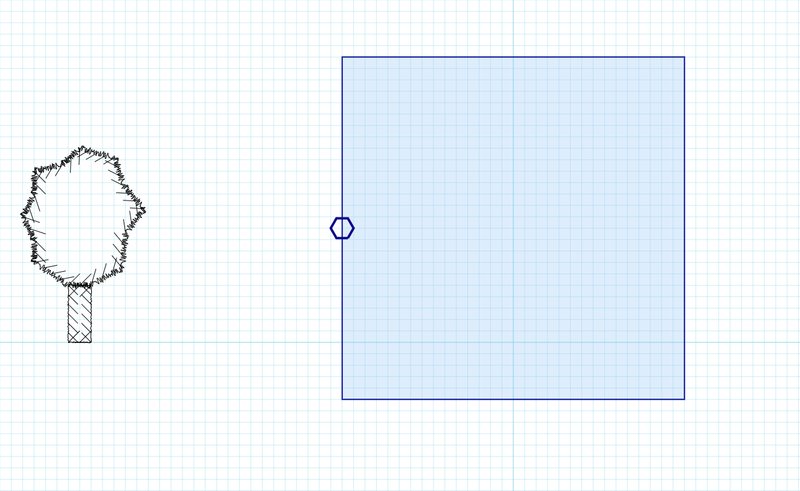 If you have used Unity’s Input class, Input.GetMouseButton(i) should look familiar. The replay system was added after developing the main mechanics, and we didn’t want to go back and rewrite how the game worked. Such a system should ideally work for future or existing games, and Unity already provides a nice interface that other programmers use. Furthermore, plugins use this interface, and not sticking to it can severely limit your ability to record games. The solution we arrived at was shadowing Unity’s Input class by creating a new class with the same name and accessing it through the UnityEngine namespace inside of the new class. This allows for conditional routing of Unity’s input, therefore passing recorded values into the Input.GetMouseButtonX functions, and essentially ‘tricking’ the game into thinking it is playing real player input. You can do the same with keys. There are many functions and properties to override, it can take time and care to get it all working properly. Once you have this new layer you can create a RecordManager class and start creating methods that connect with the new Input class. 2) The second issue is trickier to get properly working, due to common misconceptions (myself included) about how Unity’s Update loops work. Unity has two different Update loops that serve different purposes, Update and FixedUpdate. Update runs at every frame, whereas FixedUpdate updates at a fixed, specified time interval. FixedUpdate has absolutely nothing to do with Update. No rule says that for every Update there should be a FixedUpdate, or that there should be no more than one for every Update. Let’s explain it with two use cases. For both, the FixedUpdate interval is 0,017 s (~60 fps). There is one FixedUpdate every two Update. Since FixedUpdate can’t keep up with Update, it updates twice to compensate. This brings up the following question: where should I record input events, and where should I replay them? How can I replay something I recorded on one computer on another, and have the same output? The answer to the first question is record in Update. It is guaranteed to run in every Unity tick, and doing so in FixedUpdate will cause you to miss input events and mess up your recording. The answer to the second question is a little more open, and depends on how you recorded your data. One approach is to record the deltaTime in Update for every Update, and shadow Unity’s Time class the same way we did with Input to be able to read a recorded Time.deltaTime property wherever it’s used. This has two possible issues, namely precision (of the deltaTime) and storage. The second approach is to save events and link them to their corresponding FixedUpdate tick, that way you can associate many events to a single tick (if Update goes too fast) or none (if Update goes too slow). With this approach you can only execute your code in FixedUpdate, and execute as many times as recorded Updates there are. It’s also important to save the average Update time of the original recording and set it as the FixedUpdate interval. The simulation will not be 100% accurate in that Update times won’t fluctuate as they did in the original recording session, but it is guaranteed to execute the same code. Some time ago, I had to develop a 3D vector utility class for Java. Because the Android platform only uses Java, this is a must if you’re developing for it (unless you’re directly using the NDK or some middleware such as Unity. I’ll get back to this later). Java, like all programming languages, has its virtues and weaknesses. I found trying to develop a solid Vector3 class to be one such weakness, because Java lacks two main features that I consider core to what I was trying to achieve: stack-allocated objects and operator overloading. These missing features make operating with vectors in Java an annoyance beyond measure. As much as some people seem to dislike operator overloading, vector/matrix math is one domain where I consider they excel, and the lack of it is going to force me to always go through functions for even the simplest of operations, such as adding/subtracting two vectors or multiplying/dividing by a scalar. It’s either that or separating into several lines so it becomes clearer and a bit more readable. This is clearly an undesirable way of working with vectors, but the only at our disposal when using Java. In any case it is a very confusing way of working with vectors. There is yet another annoyance to be wary of when working with instantiations on the heap in a garbage collected language such as Java which is, precisely, the dreaded Garbage Collector. Vector3 operations typically go inside long loops where interesting calculations take place for many objects in the virtual world, and creating all those new objects in the heap is asking for trouble when the GC comes to inspect your pile of vector rubbish and tries to clean up the mess. This is due to the fact that there are no stack-allocated objects in Java, leaving us with one option – creating temporary Vector3’s and reusing them. This has its fair share of problems too – mainly readability, the ability to use several temporary vectors for intermediate calculations, and having to pass the Vector3 reference as a parameter instead of returning it as a normal function return value. Let’s go back to our example. Vector3 mTempVector = new Vector3(); // Declare as member variable // […] Several hundred lines down the code tempVector.copy(pOrigin.add(pTest2.subtract(pTest1).norm().multiply(factor))); interestingMathFunction(param1, param2, tempVector); // Here tempVector is an output! interestingMathFunction2(tempVector, tempVector2, tempVector3); // Need more temp vectors! Some can be inputs, some other outputs, // no way of knowing without looking at the function declaration. interestingMathFunction(param1, param2, tempVector); // Here tempVector is an output! // no way of knowing without looking at the function declaration. Definitely not ideal. In contrast, and for all its similarity with Java, C# has both these features, which makes it a language of choice for these kinds of applications, and I wonder if it was one among the multiple reasons why Unity chose it as their main development language.